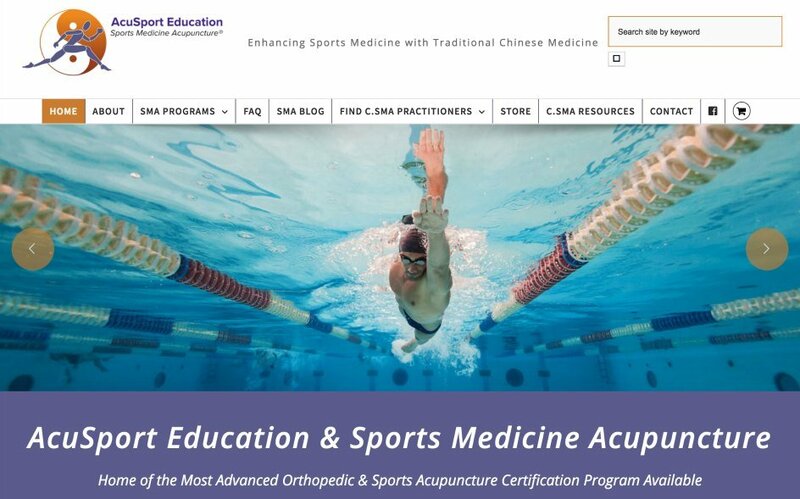 Acupuncture Website Design using Avada | by Scribaceous, Inc.
AcuSport Education is an excellent example of acupuncture website design using the Avada WordPress theme. Our client came to us to bring their existing website to the next level. They wanted a site that conveyed their high educational standards and served a variety of functions for prospective and existing students and program graduates, including automated class registration, a searchable practitioner directory, online store, and members-only resources. It was a collaborative project that resulted in one of our most comprehensive and well-designed websites to date. The Avada WordPress theme offered all of the features necessary for acupuncture websites—and our client. There’s a reason it’s one of the top selling themes on the market and that we use it for the majority of our sites. Be sure and check our Portfolio for other websites we’ve created using the Avada theme.